This is the 3rd out of 3 comparison posts between the Galaxy SIII and the Lumia 900. So for this comparison, we look at how social both phones are in terms of built in services and features. 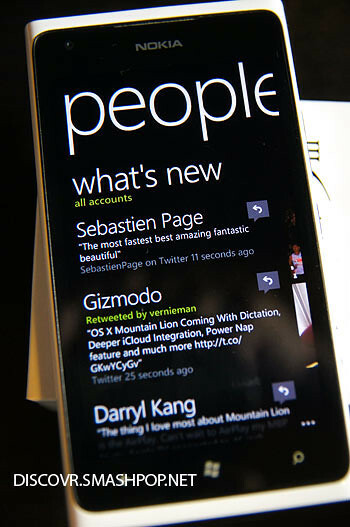 For the Lumia 900, tapping on the ME tile will bring up the ME hub and above is the first screen we see. From this screen we can change our Facebook profile photo by tapping our photo. 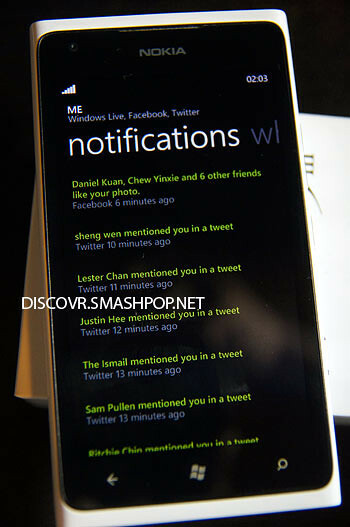 We can also see our own latest updates on social networks like Twitter and Facebook. 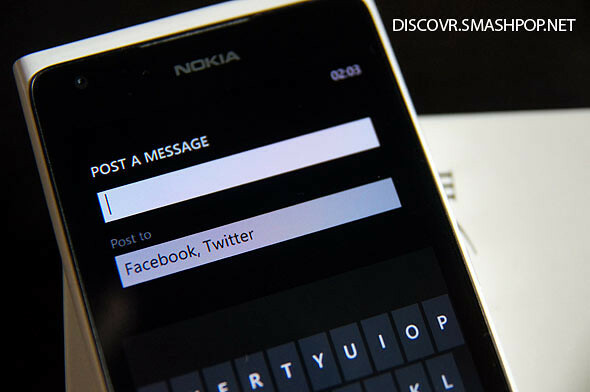 Tapping on ‘post a message’ will bring up this screen whereby we can tweet or post a status update from here. Tapping Check In allows us to check into Facebook Places. 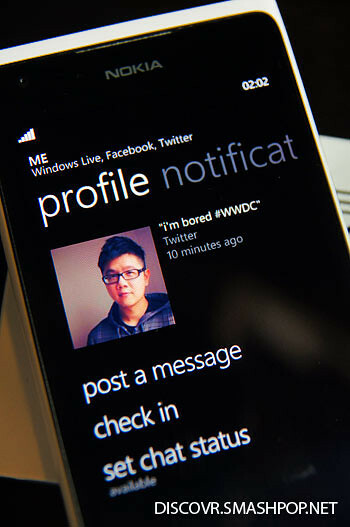 From the first screen of ME hub, swipe from right to left to bring up the notifications screen. Here we can see all Twitter mentions, and Facebook notifications. People hub has Facebook newsfeed and Twitter timeline integrated as well so we dont need to open Twitter and Facebook apps to get latest updates from our friends. From the gallery, we can tap on option to share a photo to social networks, emails or any messaging apps installed. 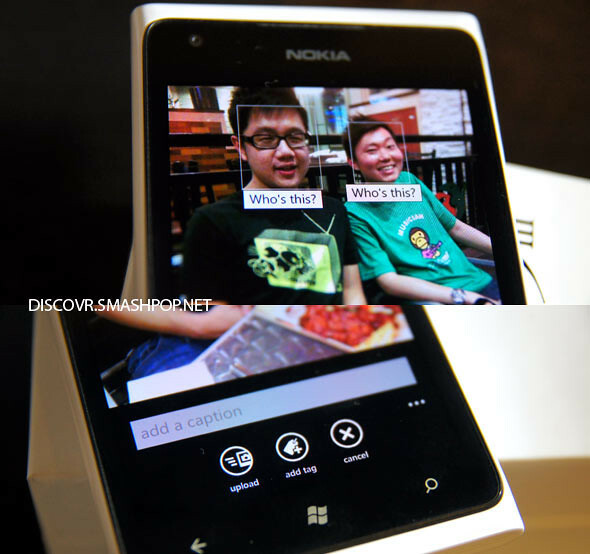 Tapping on ‘share on Facebook’ will activate face detection. Tapping on these little boxes allows us to tag friends from Facebook friends list which is already integrated into the phonebook. 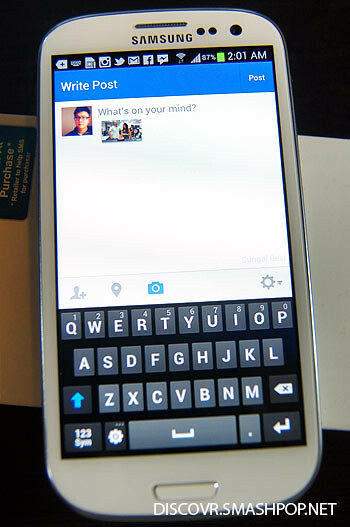 The Galaxy S3 running Ice Cream Sandwich has similar integration of social networks on the phonebook but not as comphrehensive. The profile only shows updates from Google+ which is not so commonly used. Photos can be shared to social networks, emails and messaging apps as well. The Android OS itself does not have built in Facebook share, hence it needs to rely on the Facebook app to share photos.